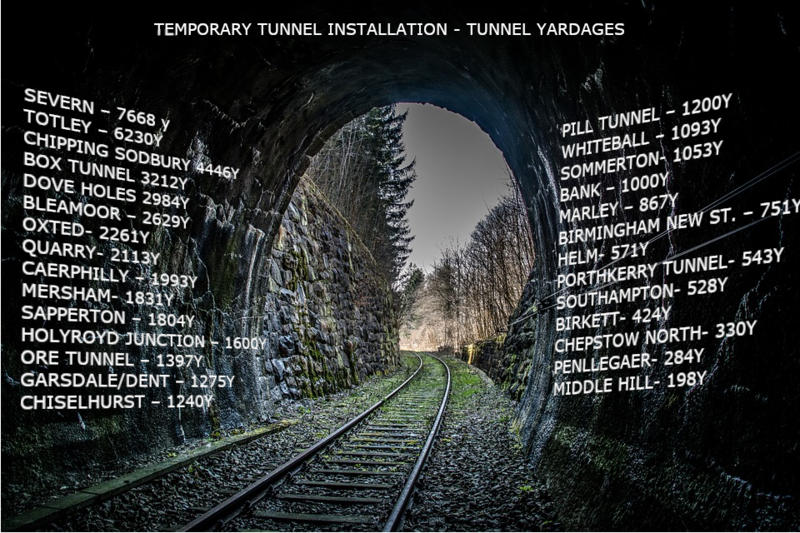 We Specialise in the installation of temporary tunnel radio systems, and have provided radio communications throughout some of the longest tunnels in the UK. Each system is custom designed and installed according to the customers specific requirements. Do you need radio coverage from with in the tunnel back to the SAC? Do you need coverage from the tunnel mouth through the tunnel and then on to the end of the worksite 3 miles. down the track? No matter what your requirements we can use out decades of experience to provide you with clear effective radio communications when and where you need them most.